After receiving the Paul Hollywood ‘Bread’ book for my birthday I was inspired by Sourdough. 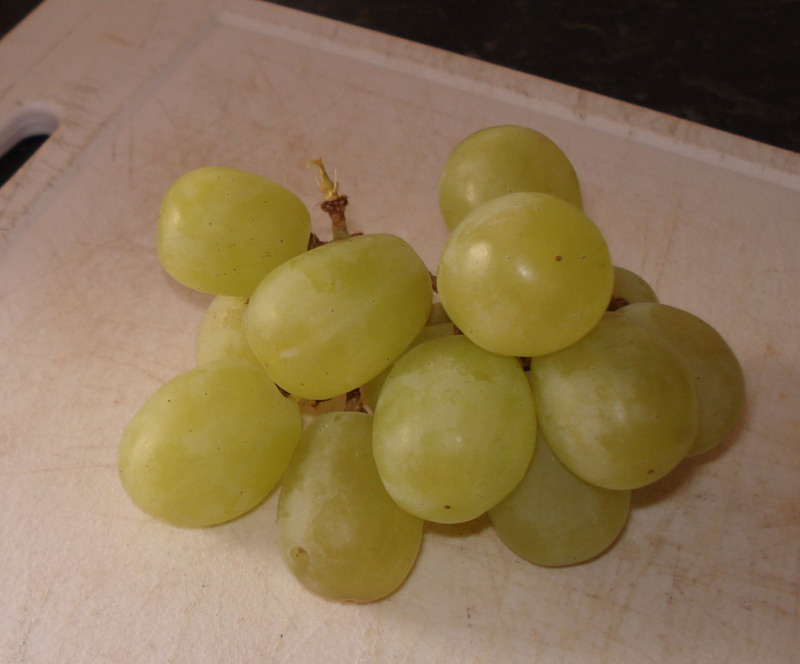 So armed with my grapes, well I could not find organic so had to use Tesco ones, and flour…..OK so I couldn’t find strong white flour in the cupboard as we only really use wholemeal for baking….. (this has disaster written all over it doesn’t it?) – the tepid water I used was exactly that, but that was the only thing that mirrored the recipe. 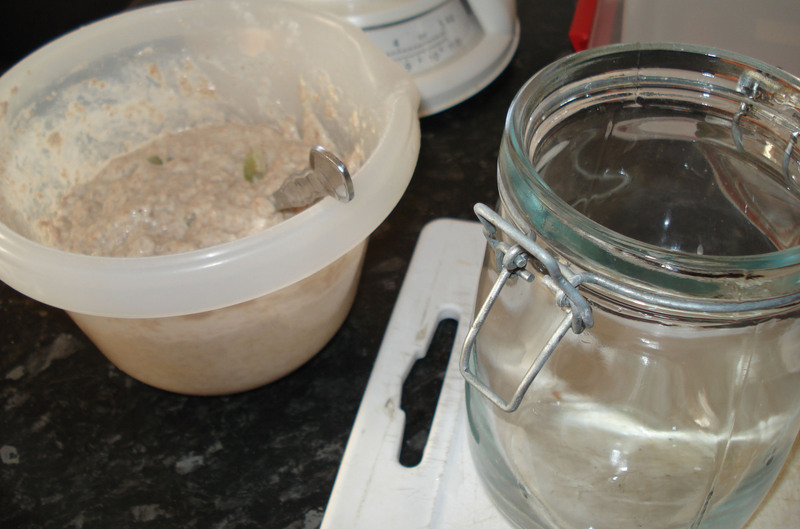 Then mix 300ml of tepid water and 300g of strong white bread flour into a batter like paste, stir in the grapes, and add to a Kilner Jar, big enough for it to grow inside. Pop the jar in a warm place for about three days, I used the conservatory. However, as a conservatory goes chilly overnight I needed a new spot, we don’t have an airing cupboard and our lovely air conditioned house gets rather chilly overnight, just the way we like it for sleep…. 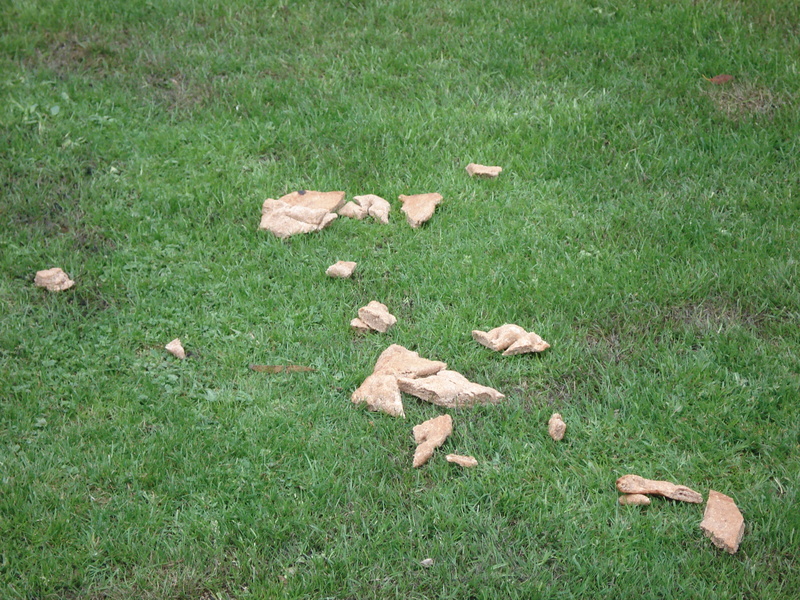 not conducive to sourdough though…. After your three days you takeout half the mix and disguard and add in more batter (100ml of water and 100g of flour mixed together) as food for your yeast mix. I knew when I did this to mine all was not well, as it had seperated a little. I’m sure my lack of temperature and also maybe using wholemeal flour too did not help my forray into sourdough, so alas, after the fourth day I rolled out the dough, attempted to rise it (it didn’t really) and then baked my ‘flat bread’. 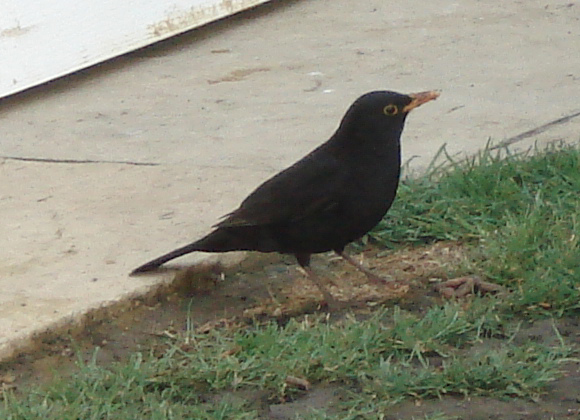 It was going to be a little treat for my feathered friends…. 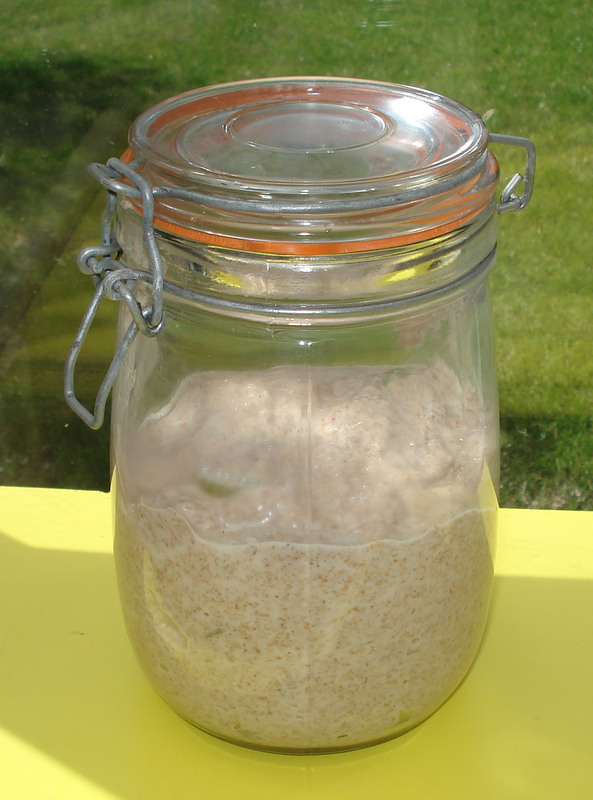 I’ll try again in the summer with white flour to see if I can conquer sourdough! ← Naan Breads and Indian at home…. You’re right – it smelled awful! And I hated disgurding so much flour too, not very economical! I’ve been waiting on a friend giving me some of his starter. 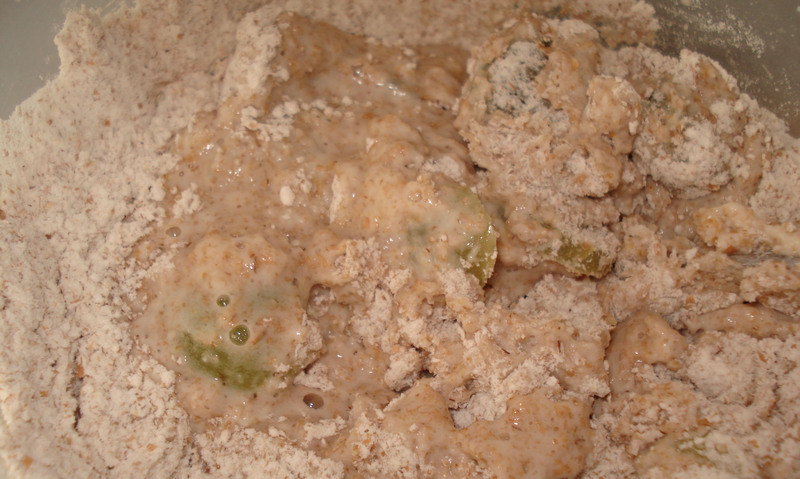 You have several disasters before getting the hang of it (so I’m told) and it is easier to work with white flour! Well done you. 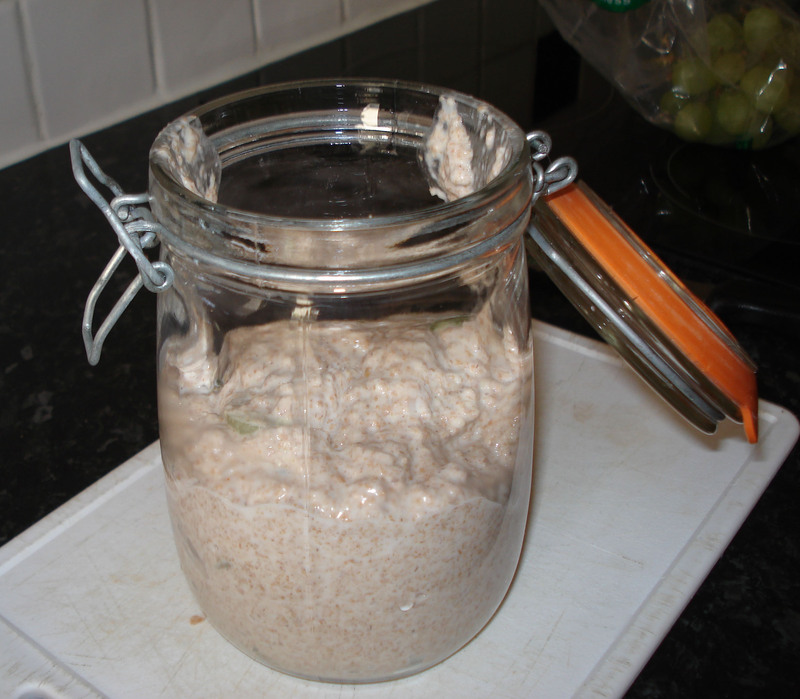 I went to a sourdough starter demo at the weekend and he didn’t use grapes or apples, just flour and water! I am going to email him for the exact recipe then ask if I can post on my blog.